Even at a time when organic groceries can be delivered to your door same-day via Amazon Prime, a new crop of personalized, specialized stores is giving Angelenos a reason to shop mom-and-pop. “People want the convenience of a grocery store, but if you come here, you can expect more than just a transaction,” says Jered Standing, wearing a gunmetal salvaged-material apron inside his bright Hancock Park shop. At Standing’s Butchery, which specializes in using the whole animal, the namesake meat guru might talk customers through a case full of California-sourced meat broken down into cuts they’ve heard of (Autonomy Farms short ribs, Cook Pigs Ranch pork chops, Pasturebird half chickens) and some they haven’t (beef “heel”). No part is left behind: Bones are used for stock, trimmings go into an impressive array of sausages, beef tallow is available for frying, and even paleo-approved dog food is made from organ meats. At Psychic Wines, which opened last month in Silver Lake, encouraging discovery makes for smart business. Co-owners Zach Jarrett and Quinn Kimsey-White offer of-the-moment natural wines, sure, but their aim is also to share the stories behind producers they admire and help turn more folks on to the movement. “Instead of looking at our wine as a trophy case, we’re trying to hit the ideology we admire in wines that are affordable and approachable so we can be inclusive to everyone,” Jarrett says. 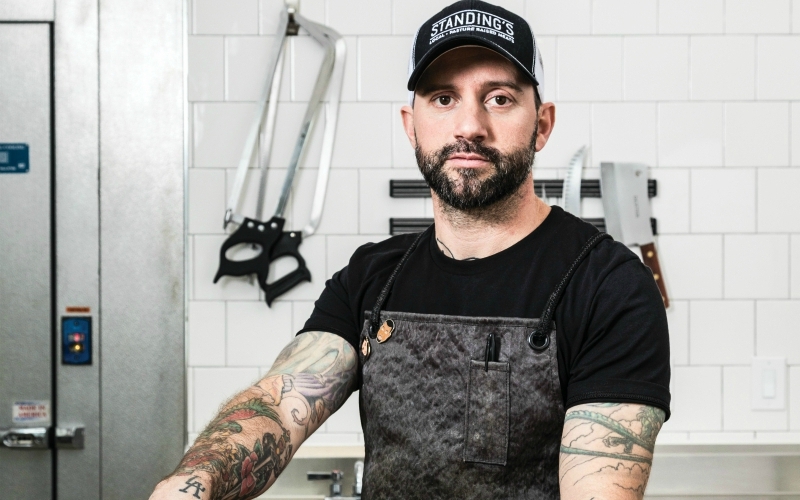 RELATED: Butcher Jered Standing Shares His 10 Favorite Dishes in L.A.